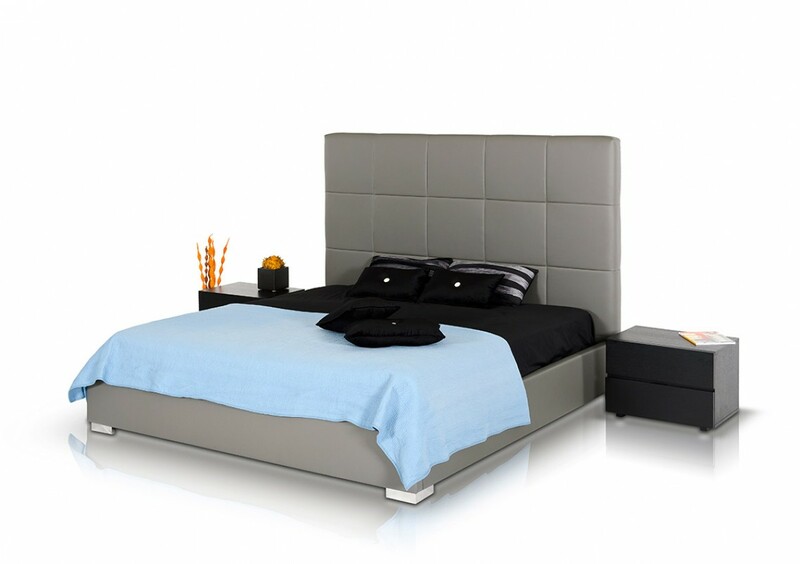 Upholstered in grey eco-leather, the Messina platform bed’s high headboard makes it appear prestigious. The large square patterned tufted headboard creates a soft focal point for the design while the corner stainless steel legs raise the platform bed off of the ground to even out the composition. Balance the composition even further by decorating with glittery accent pillows and brighter colors. 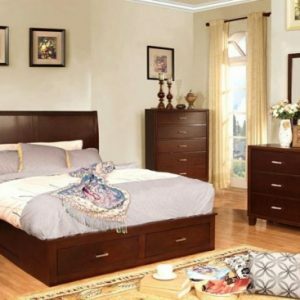 Features air lift storage underneath the bed to provide additional storage space for soft linens. Available in Queen and Eastern King sizes. 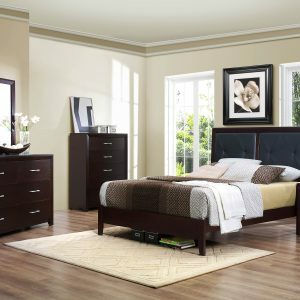 Pictured with the Logan Black Oak Nightstands.